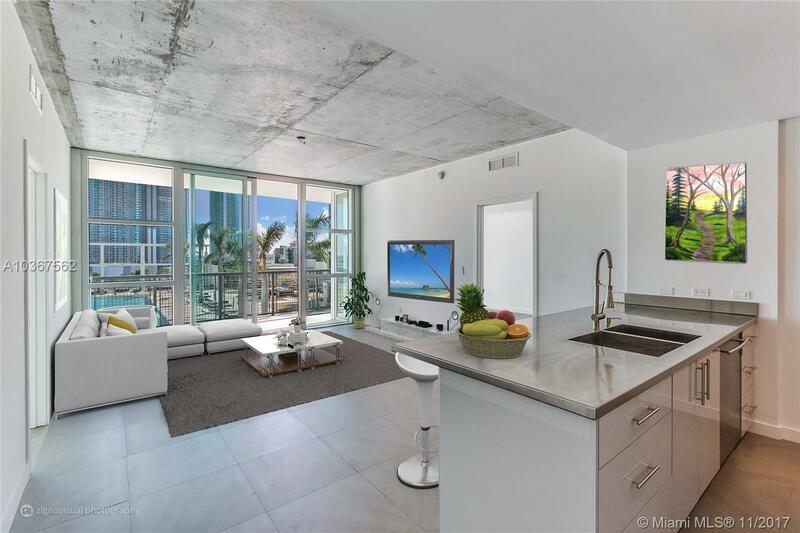 FOUR MIDTOWN MIAMI LOCATED IN HEART OF IT ALL WALK OUT YOUR FRONT DOOR TO THE BEST RESTAURANTS AND OUT YOUR BALCONY FOR THE BEST VIEWS OF BAY AND POOL, SPLIT 2 BEDROOM, BOTH WITH VIEWS AND FULL BATHROOMS, COOK IN OPEN KITCHEN WHILE YOU WATCH THE BOATS GO BY. YOU WILL JUST FEEL LIKE YOU ARE ON VACATION IN THIS RESORT STYLE BUILDING WITH AMENITIES TO MATCH. BIG DOG? NO PROBLEM..THEY ARE WELCOME TOO. SELLER IS A SELLER..SO NO PROBLEM THERE EITHER. WASHER AND DRYER IN UNIT TOO.